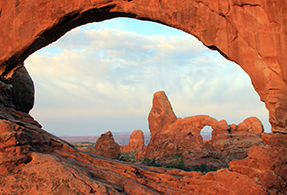 One of the few precious stones from the United States Utah variscite is admired for its soft swirls of pale green. 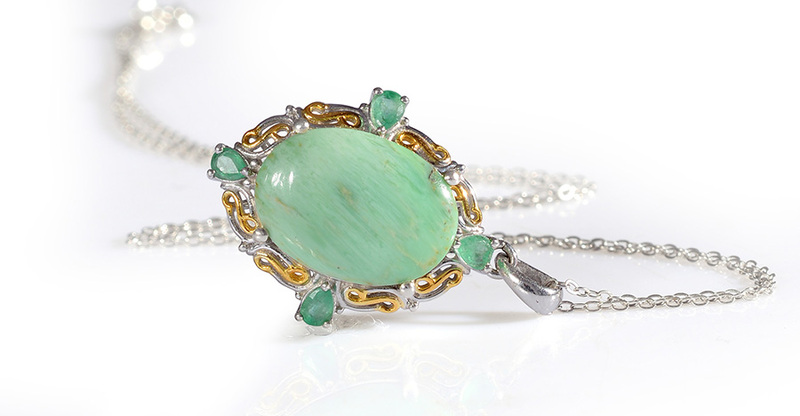 Sometimes confused with green turquoise variscite has bands of white marbling. The name variscite derives from Variscia the ancient name of Vogtland in Germany where it was first discovered in 1837. When water rich in phosphorus undergoes changes around the face of aluminum rocks it can produce this unique green aluminum phosphate gemstone. Variscite’s coloring develops into a pale spring green pale blue-green or emerald with white streaks or veins throughout. Utah variscite has earned a loyal following over the years. 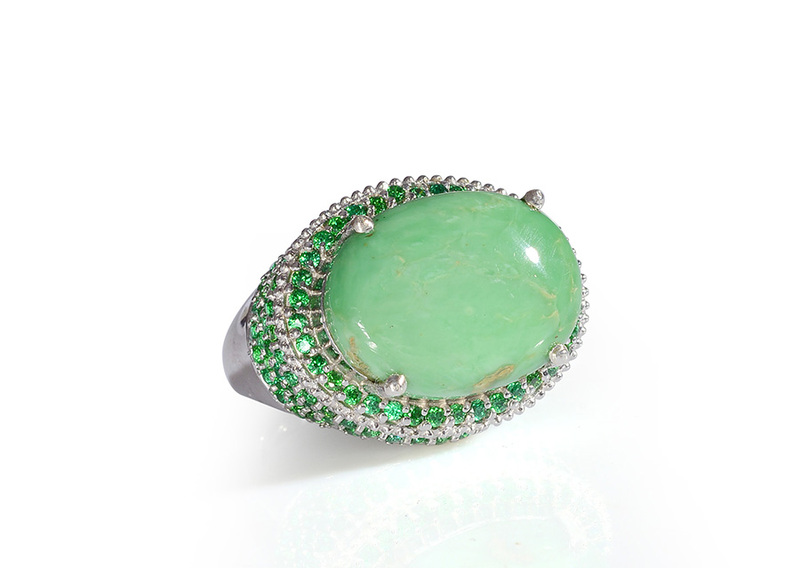 As one of the few precious stones from the United States Shop LC takes pride in bringing it to our diverse audience. Of the two variscite mines currently found in the United States only one remains in operation rendering this gemstone a rare find and a great collector’s stone. 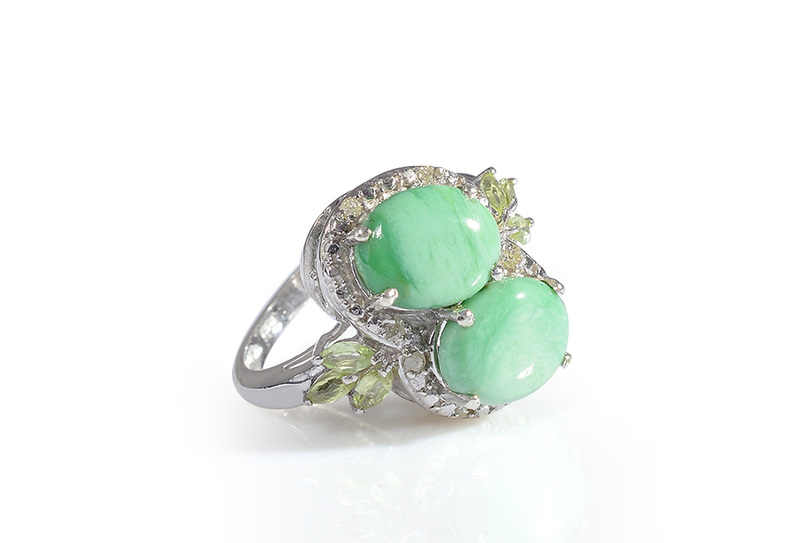 • Ancient healers believed that variscite would ease stress improve mental alertness and aid self-recognition. • Variscite has been called a “stone of prosperity.” It creates financial stability and helps you avoid excess. • Many believe variscite has the power to calm and enlighten. 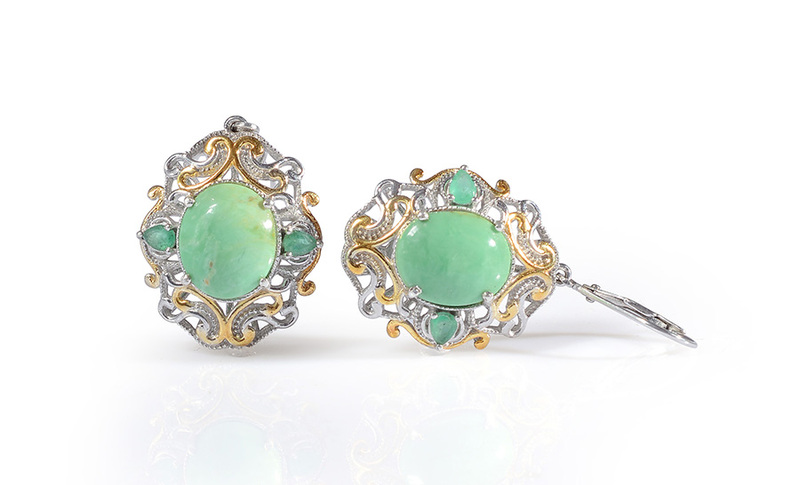 It is considered as a meditative stone that quiets the mind and helps with remembering the past. • For some variscite promotes good moral character independence and triumph. • Crystal healers use variscite to stabilize the nervous system and improve blood flow. It invigorates energy levels while relieving stress. This stone can sometimes be found in Argentina Australia Austria Bolivia Brazil Canada China or Peru. However Shop LC sources premium variscite from the state of Utah home to one of the most distinguished and top-quality deposits on earth. Its handful of sources makes this a unique gem with quite limited supply. Ranks 4 to 5 on the Mohs hardness scale. Color appears opaque light green bluish-green or medium- dark green with streaks of white. Member of the variscite-strengite group. Also known as amatrice utahlite lucinite sphaerite peganite and variquoise. 100 percent natural stone; no additional treatments.